Total War Saga: Thrones of Britannia is the first game in a new Total War sub-series that promises to focus on more specific locations and time periods rather than the near world-spanning maps the series typically offers. The first setting to be tackled is Great Britain during the late 800s AD (then referred to as Britannia), where a mix of local border skirmishes and ongoing conflict with invading Viking tribes make up the historical bedrock for players to conquer and negotiate their way to dominating the region. 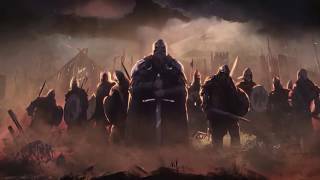 Though there is no denying that Thrones of Britannia makes some effective tweaks to the Total War formula and offers up a lot of content for the somewhat reduced price tag, it also feels like a safe entry into the prolific series that doesn’t really do much to stand out amongst its many predecessors. Perhaps what's most notable about Thrones is that it marks the return to historical settings, with the previous two releases in the series taking place in the Warhammer universe. Given how different that series is, I expected Thrones to pick up roughly where the excellent Attila left off, but it ends up feeling like a more stripped down and straightforward approach to the grand-strategy formula. Creative Assembly have seen success in simplifying the Total War formula in the past, such as with Shogun 2, and the good news is that the core of what makes these games so engrossing is mostly intact even if some elements are a bit shaky. There is a healthy number of factions to play as, spread out across the Welsh, Vikings, Gaelic and Anglo groups who resided in Britannia at the time. Compared to the the Warhammer Total War games and even Attila, the factions are fairly similar to each other, with their starting location, political and cultural affiliations defining the experience at least as much as each faction’s unique strengths and weaknesses. Some differences do exist; as the Vikings you must keep up the morale of your armies by fighting and pillaging, while Gaelic forces must worry about legitimacy, a metric that will help your faction gain and keep respect, while the Anglos have access to cheap Levy units who can quickly increase the armies’ size. 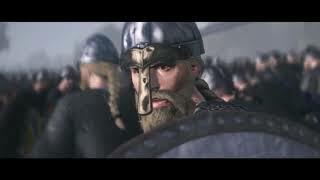 The last several major Total War games featured some kind of twist to shake things up, such as the magical vortex in Warhammer 2 or the Mongolian Hordes and nomadic factions in Attila, and Thrones of Britannia attempts to continue this with Viking fleets that will occasionally invade the coastline. These invasions never really proved much of a threat for me, though this will vary depending on where your faction is located and where and when these invasions occur. It is also possible to play as one of the Viking ‘Sea’ factions and become the invaders. The one thing each faction’s special traits and mechanics have in common is that they are poorly explained. There isn’t much of a tutorial available, and effective descriptions of even some faction-agnostic metrics like War Fervor are not readily available. This is a shame, because in a lot of other regards, Thrones would have made a good starting point for series newcomers due to some trimming down of the formula. You no longer need to worry about recruiting agents, making trade agreements which now seem to happen automatically with eligible factions, dealing with religious conversions, or even building military buildings to gain access to new types of infantry. Instead, the focus is placed on inter-faction politics, diplomacy, and ensuring that your populace is happy and well fed. In my first campaign, the faction leader was killed in a battle early on. His heir had little influence, a statistic used to track the overall power each noble has, and I had to endure a lot of rebellions and even a civil war before I was able to gain enough loyalty to keep the rest of the nobles and the populace happy. As you capture territories, you gain access to estates which can be held by the faction leader, or distributed to nobles in order to increase their loyalty via a clumsy menu. Having to juggle food, the happiness of your population, tax rates and plotting among your factions leaders all while attacking and defending against hostile clans made for some great stretches of classic Total War gameplay. I found that these elements kept me busy and entertained for the first several hours in particular of each campaign I attempted, and I found I had to really think carefully about which factions I sided with and which I decided to go to war with. There are a lot of different types of victories you can achieve, from typical conquest victories, to winning by having a famous and politically influential faction, or some more faction-specific victory conditions like capturing a lot of ports for the Vikings. Some of these can be obtained in less than 100 turns, while others require significantly longer campaigns. With each faction I played however, I always reached a tipping point where I felt powerful enough that eventual victory was almost assured. Part of this is due to the fact that battles seem very easy in Britannia, at least in my experience. Unless I was totally outmatched by a much larger army, I found myself winning battles that I didn’t even expect to win. Sadly, Britannia takes after the Warhammer games in that most battles take place out in open fields, with the occasional sieges taking place on much more elaborate maps. This is somewhat offset by the fact that many settlements will have no garrisoned troops and can be captured without a fight, but I still felt the balance of open-field battles versus more urban ones was a bit off. The real time battles feel very unremarkable by Total War standards with often bland maps and uninteresting terrain, despite the return of naval battles and coastal sieges which were missing from the Warhammer entries. The AI tend to drag out these skirmishes by running around with their archers and cavalry after their main army is defeated, forcing you to slowly chase them around until you catch them or they surrender. Despite finding the battles somewhat dull, due to the relative ease with which I found myself winning, I ended up spending a lot more time in them because there were cases where auto-resolving would result in a loss that could be avoided by playing manually. The unit roster is pretty straightforward, with war hounds and cavalry aiding axe and sword wielding foot infantry. The typical strategy of running in with your infantry, keeping archers and javelin throwers at the rear and then flanking the enemy force with cavalry seems to be the winning one here, making for some mostly predictable skirmishes. Despite its reduced price, Thrones of Britannia comes with the full suite of custom battle and multiplayer options that now seem standard across each game in the series, though historical battles, scripted scenarios meant to emulate real historical encounters, are notably absent. It is easy to set up a custom battle with any combination of human and AI players on either side, and full co-op support for the campaign also returns. Though nothing new for the series, these are certainly nice options to have and seem to function well here. Aside from above mentioned odd behavior of AI during some battles, Thrones seems reasonably well polished in general, with consistently good performance and no real bugs or glitches, though the user interface can be rather clumsy in some areas. The good performance seemingly comes at the cost of visual fidelity, particularly in the real time battles, as Thrones might be one of the least visually interesting Total War games to have been released in recent memory from both at technical and artistic perspective. The audio fares somewhat better, with good original music both in and out of battles, and reasonably well done voice acting and sound effects where applicable. With another major historical Total War arriving later this year, it is hard to shake the feeling that Thrones of Britannia is somewhat unnecessary. 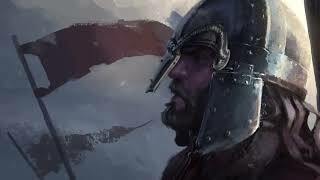 Though a competent iteration on Total War formula, it lacks any features to make it really stand out from past games in the series, and the lack of proper tutorials and poorly explained faction specific mechanics and inter-faction politics mean it might not be very well suited to series newcomers despite its overall streamlining compared to Attila. If you are really interested in the setting, or are just itching for some historically themed Total War, Thrones of Britannia should serve you well, but if you are feeling a bit burnt out on the strategy series after so many yearly releases, this might be one to skip. One of the blander looking Total War games that fails to live up to some of its predecessors on a technical and artistic front, the original soundtrack and audio design is solid. Faction specific mechanics and politics are poorly explained and battles are too easy, but having to manage food, money and the happiness of your population alongside inter-faction diplomacy and wars is executed well. A good number of factions that are fairly similar to each other in most key areas. Lots of different victory conditions and potentially shorter campaigns make for good replay value. The usual set of custom battle options both with and against other players are nice to have, as well as full co-op support for the campaign. The game runs quite well and I encountered few bugs, aside from some questionable AI behavior during battles.